Helen Rodrigues has created an exclusive fragrance for a very special occasion - be it when your are getting dressed for your wedding, while you are on your honeymoon, spending a romantic moment with someone special or just wanting to relax and enjoy time with family and friends. 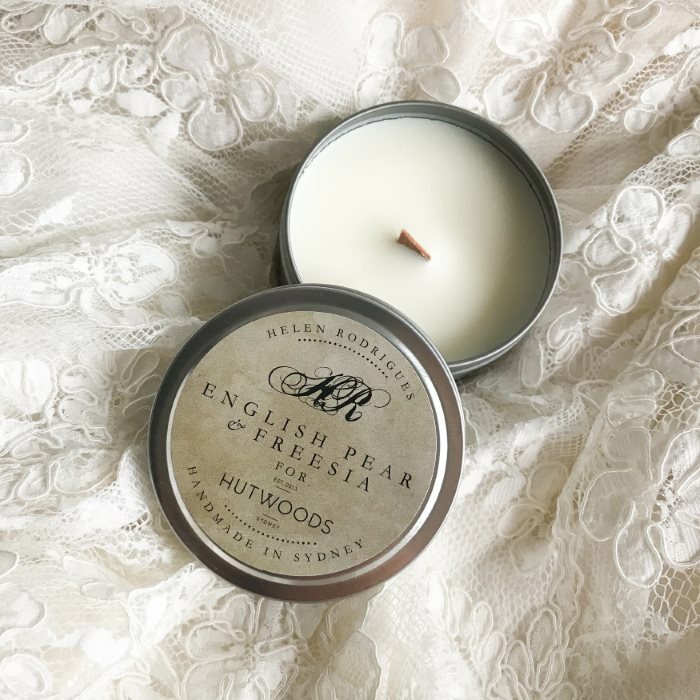 The English Pear & Freesia fragrance enhances your emotions, sets the mood and indulges the moment. 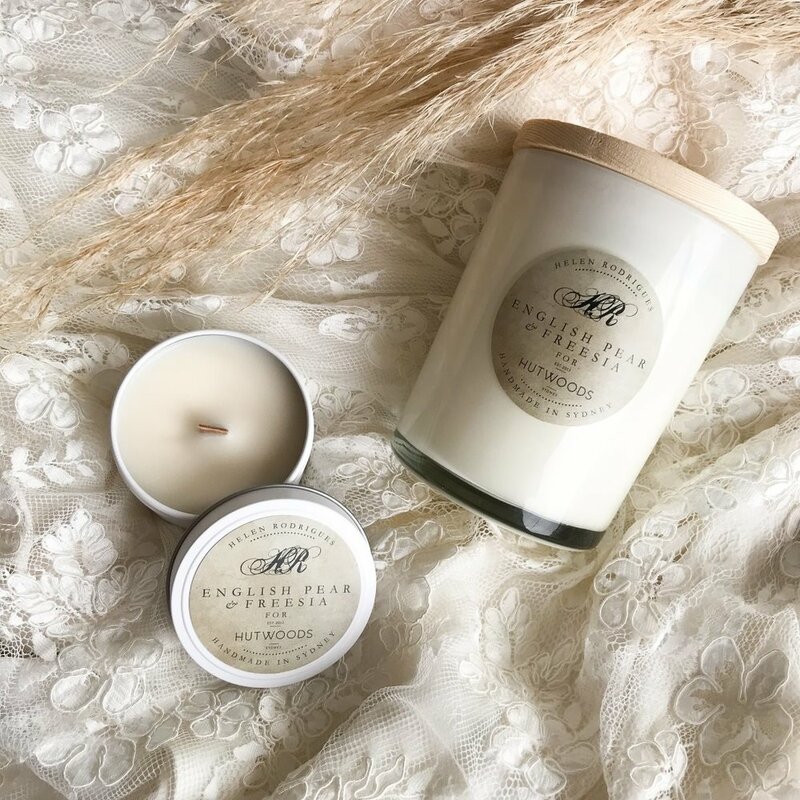 Available in two sizes, the candle is made from soy wax with a wood wick. 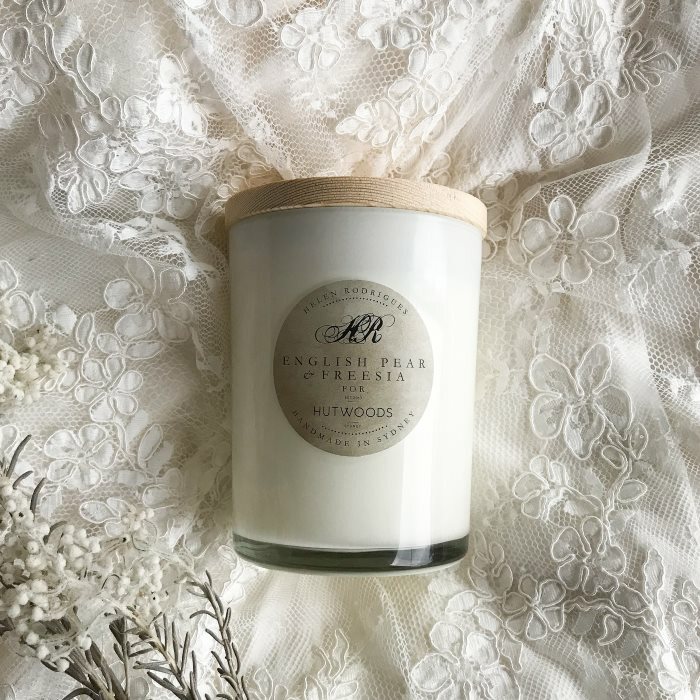 This is a prefect treat to yourself or a gift for your bridesmaids, bridal party or for someone special. Make an appointment to buy a candle from the boutique or call 02 9904 5700 or email to order your candle. 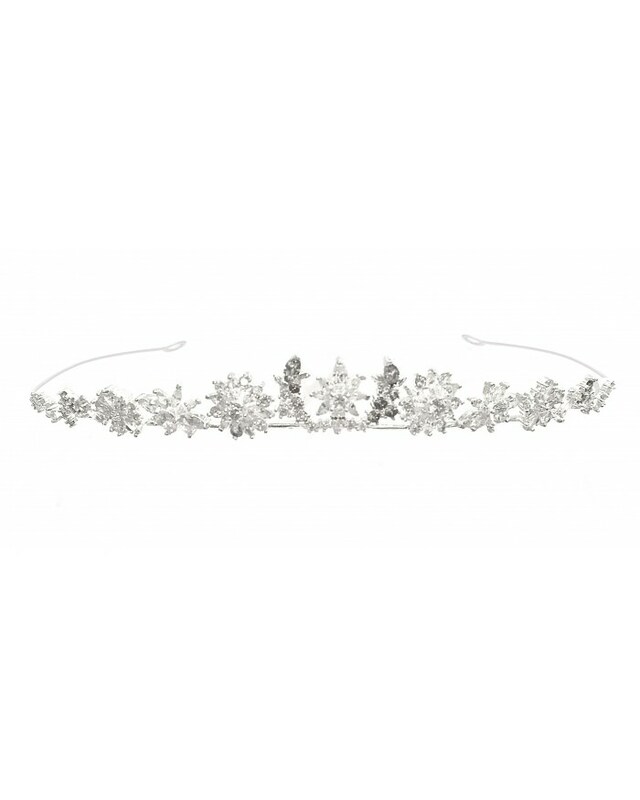 Often it’s the finer details that can make all the difference; which is why at Helen Rodrigues we love to help brides with selecting not only their gown, but also beautiful accessories that will complete their perfect wedding day look. 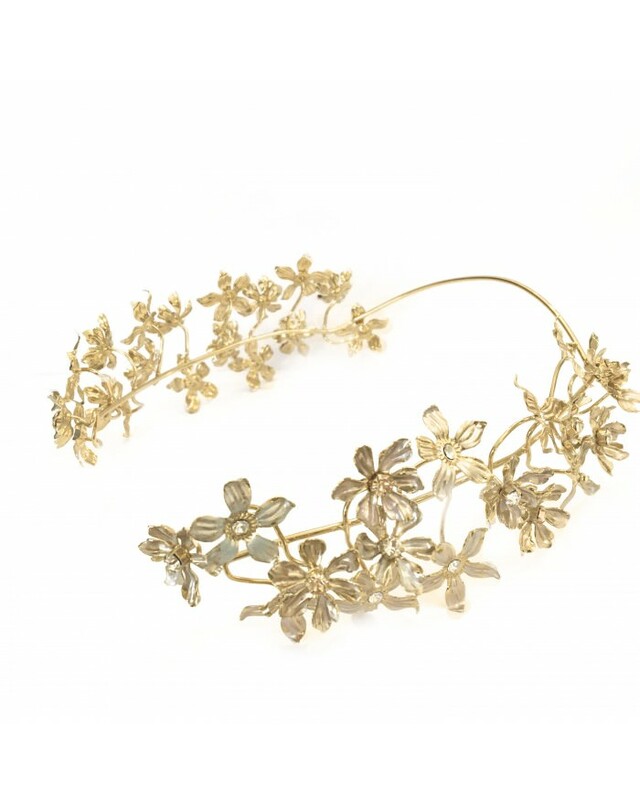 Keren Wolf Jewellery & Accessories has been represented at Helen Rodrigues for a couple of years now and is a huge favourite amongst our brides with its range of stunning head pieces, and exquisite earrings, bracelets and unique arm cuffs. A former renowned Israeli actress, Keren Wolf has been making distinguishable jewellery, clothes and accessories from a very young age. Inspired by her fascination with the theatre’s rich archive of costumes, accessories and photographs dating back to the 1920s; she first opened a small jewellery booth which received a lot of buzz and attention from fashion savvies and passersby’s. This then gave her the confidence to improve and craft her designs on a much higher level, prompting a career move to leave acting and dedicate herself fulltime to jewellery and accessory design. Her namesake collection was officially introduced in 2005 when Keren became a bride-to-be and realised the bridal market was significantly limited. 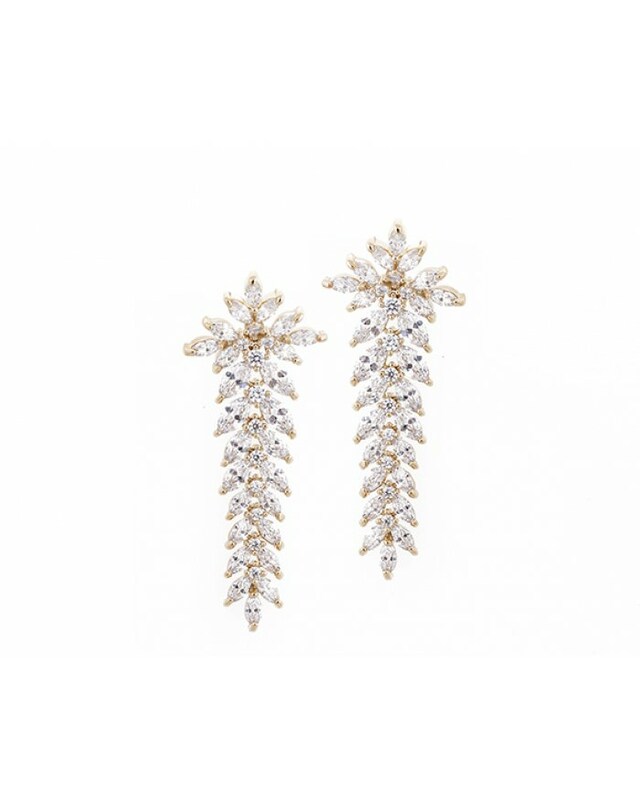 She decided to launch a Bridal Collection ranging from heirloom-quality headpieces and dainty jewellery; to modern, over-the-top statement pieces. 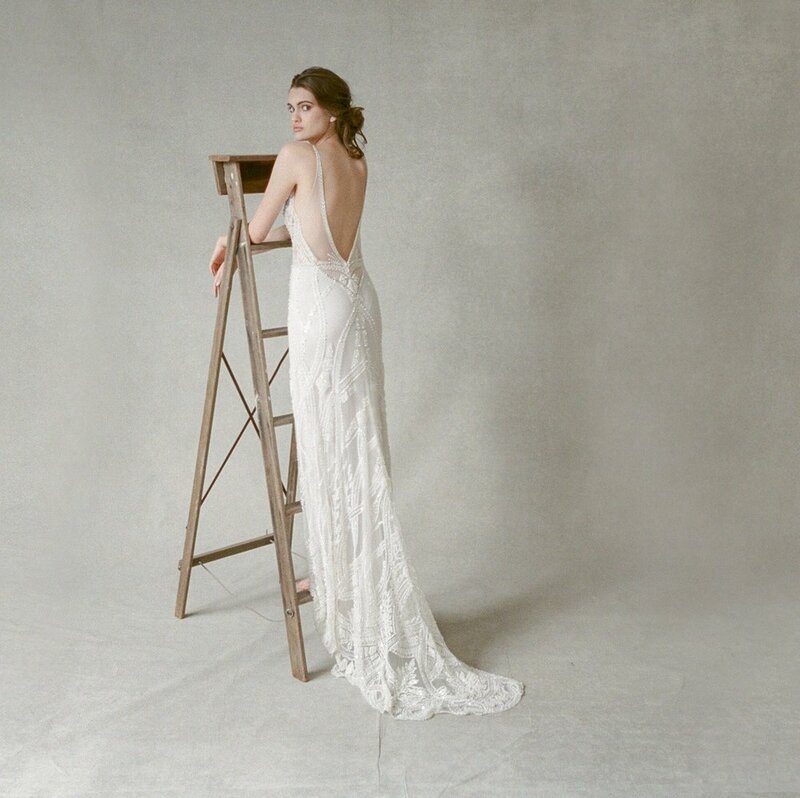 A huge success, Keren Wolf quickly became the go-to designer within the bridal arena in Israel, collaborating with renowned wedding gown designers such as Inbal Dror and many others for NY Bridal Week. Now stocked in over thirty boutiques around the world and a second Ready to Wear line, Keren Wolf has been named one of the five most influential women in Israeli fashion. Her distinctive designs and quality of workmanship have made her a favourite of stylists, international magazines and celebrities such as Bar Refaeli and Gal Gadot. 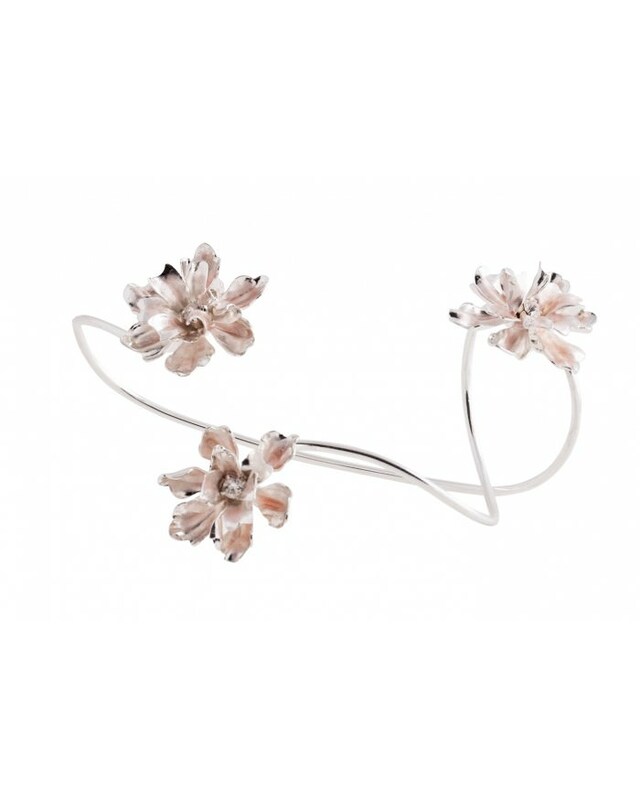 The Diamond Garden collection is the latest Keren Wolf line available at Helen Rodrigues. The exact sculpture of the royal gardens; the delicacy and elegance of their flowers; and the mysterious, magical wilderness of the climber plants were the inspiration for the amazing silver and gold collection. Tiaras set with Zircons, crowns set with hovering pearls, earrings covered with Swarovski, and the bracelets hold an exact sparkle. Together they are combined in perfect harmony, generating a glamorous and unique look for brides – a real royal diamond garden appearance. For more information on the Keren Wolf Jewellery & Accessories range simply phone the Helen Rodrigues boutique on (02) 9904 5700. It is with great excitement that we can now finally unveil the first look images from the inaugural Helen Rodrigues Bridal campaign photo shoot that took place recently. After being Sydney’s iconic bridal boutique for 16 years, we decided it was time to showcase our beautiful designer gowns in an incredibly special shoot produced exclusively for us by stylem and photographed by the amazing Amelia Soegijono. A fine art photographer, Amelia chose to shoot the entire campaign on film – an extreme rarity these days. Able to achieve more sensitivity to light and softness compared to digital photography, it made the shoot even more magical for our brand. 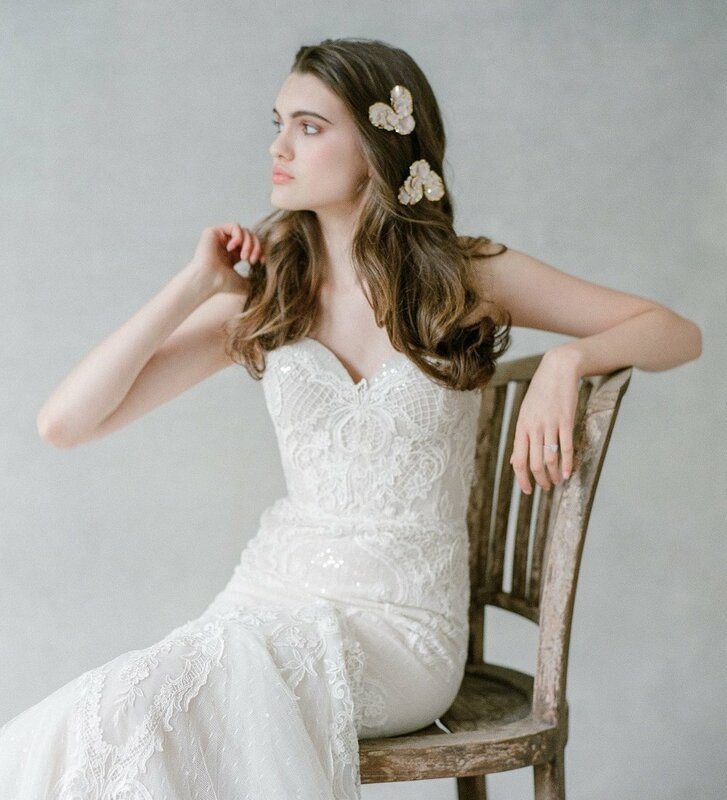 With Jess Berg on hand for hair and make-up and Susan Avery on floral headpieces, our model Alana looked stunning in the gorgeous bridal gowns from a number of our esteemed international designers such as Inbal Dror, Alon Livne, Jenny Packham, Elie Saab and Monique Llhuillier. We’re delighted to now share our Helen Rodrigues Bridal images with you and hope you enjoy them as much as we do. 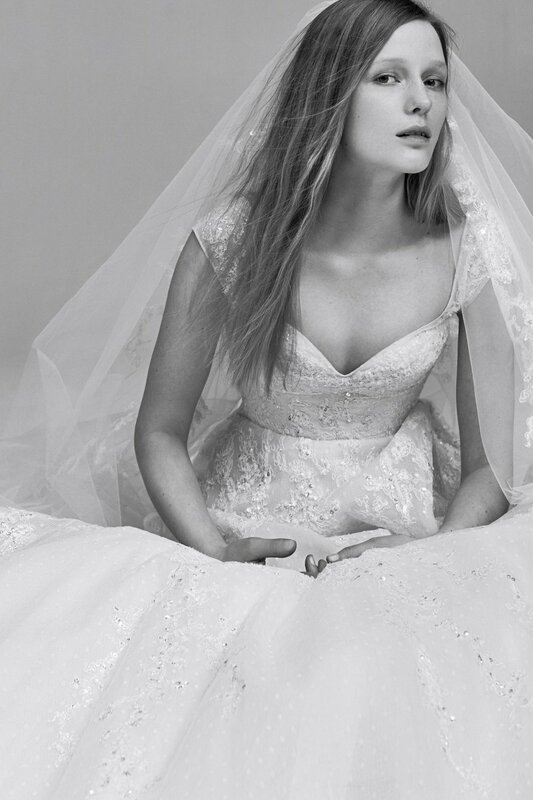 We are thrilled to announce that this month sees the arrival of the fabulous new Alexandra Grecco bridal collection, available in Australia exclusively at the Helen Rodrigues boutique. 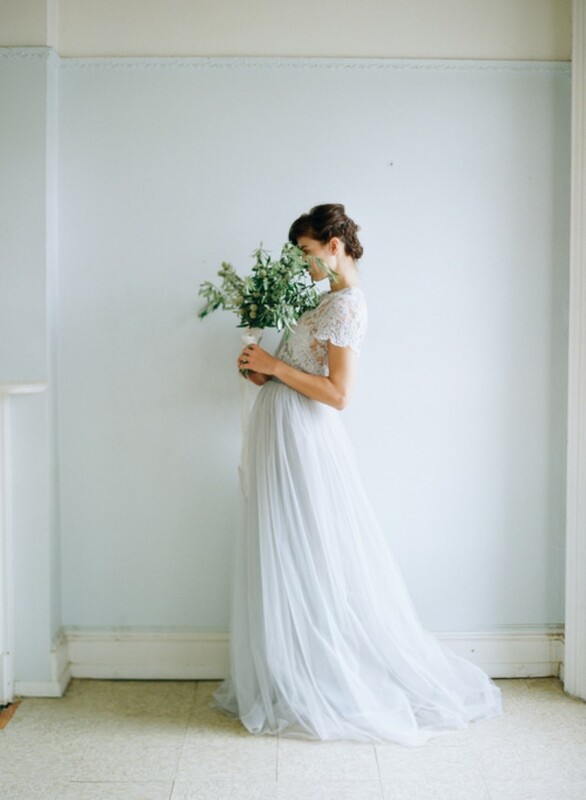 Featuring ethereal gowns for the less-traditional and boho brides, the beautiful line was created when the designer herself was looking for a gown in advance of her own wedding in 2013 and saw an opportunity to pair her aesthetic with high-quality fabrics and intricate hand-embroidery. 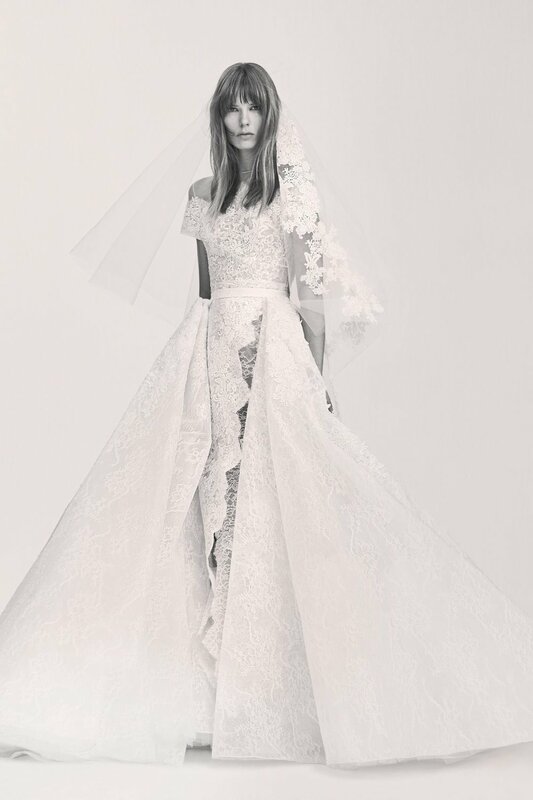 According to Alexandra Grecco, she’s very excited to be working with Helen Rodrigues to offer a broad range of their gowns to Australian brides. 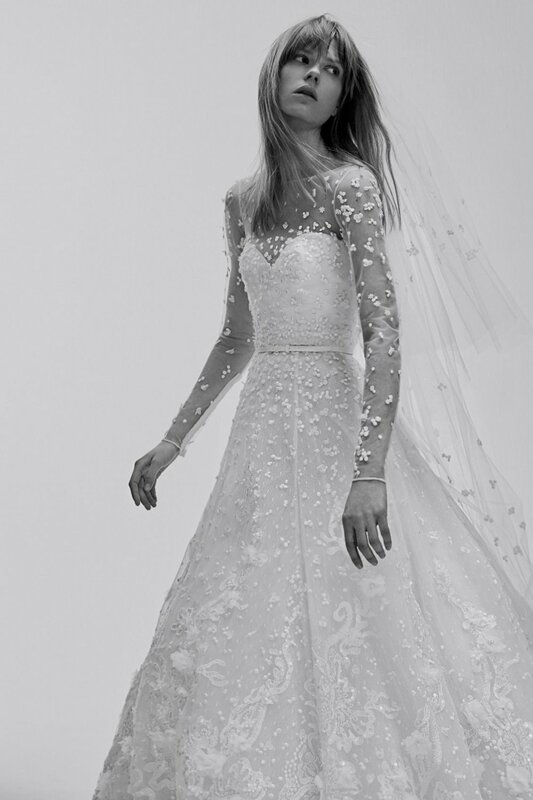 "Inspiration for our gowns can come from the tiniest details, whether it be a scrap of antique lace or embroidery. Sometimes I pull ideas from a painting or an architectural detail. Most of the time though, I just create something that I would want to wear. Inspiration for me changes, but what's constant is that each season I am focused on the collection having a feeling of being effortless yet elegant," says Alexandra. "It is really important to me that our brides feel comfortable in their gown and that our pieces move with the women who wear them. We use a lot of really lovely silks and create some subtle, yet striking embroidery. I'm a big fan of gowns with strong, clean lines, but always with some detail that makes it truly special," she adds. 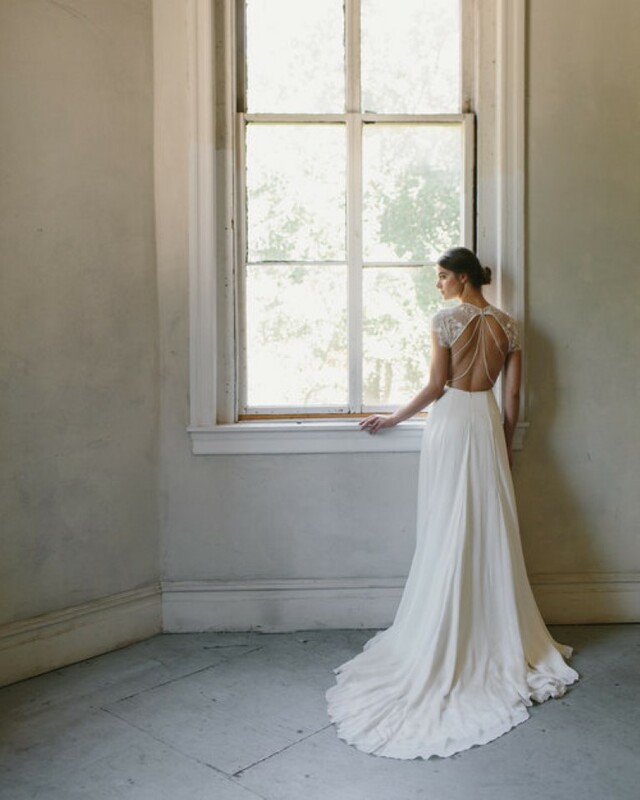 The gowns in the Alexandra Grecco bridal collection range from $4,500 to $10,000. 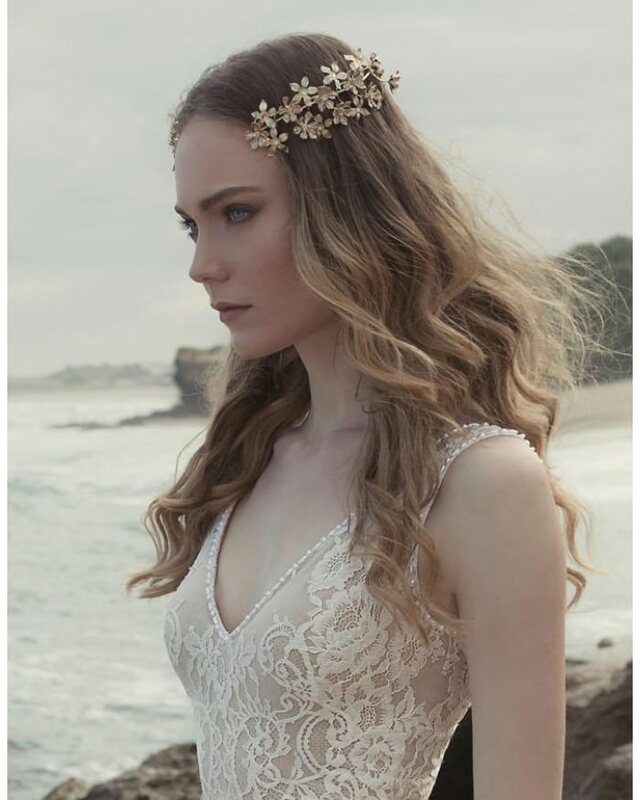 To be one of the first in Australia to view her exquisite line, simply book your appointment now at the Helen Rodrigues exclusive preview launch day on Saturday 11th of March. Bookings are $50 and include a glass of bubbles. For more information on Alexandra Grecco please visit her website here or for enquires on the collection simply phone the Helen Rodrigues boutique on (02) 9904 5700.